Last May, as part of the Dakar Biennale’s Off programme, Dalila Dalléas Bouzar created a body of work in total immersion in the city. Her « Studio Dakar » was an open-air performance where the traditional painting studio had been moved into the street, creating surprise and interest among people living in the Senegalese capital. First in Ouakam, then in Grand Yoff, children and adults approached the artist who, from behind her easel, invited them to sit down and have their portait painted. 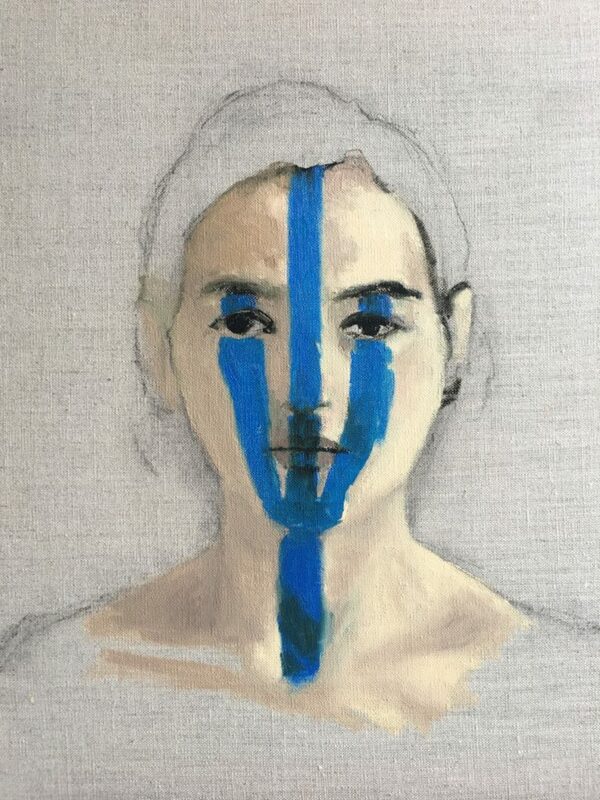 Both a physical and social performance, this process lead the artist to push herself beyond her limits and drew her towards the intimate relationships with others that she’s constantly seeking in her work. « Studio Paris » will follow « Studio Dakar ». 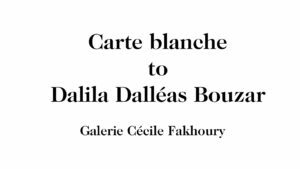 During the 4 days of AKAA 2018, Dalila Dalléas Bouzar will perform in the Carreau du Temple. This context will give a new meaning to her discourse: linking this Parisian artistic event to her own African history where rituals and tradition are pillars of thinking. A solemn performance launch, echoing shamanism, will place the visitor in an incarnate world. Then Dalila will leave the conventional frame of the canvas to paint on skins and on the ground, again recalling rituals of ancestral ceremonies. This performance is part of a desire to «create». Dalila will paint live, in a hurry, intensely, bringing out faces in the same place. With this essential, risk-taking experience, Dalila affirms her own vision of art, and the artist’s role as today’s new shaman.